The new Animal Welfare Campus will include an approximately 30,000 square foot structure around a central courtyard on a 20 acre parcel. This will nearly double the current capacity for dogs and cats and allow for triple the number of annual adoptions! Enjoy this self-guided tour to learn more about what is to come for Mountain Humane and the community! Shelter animals will get the care and treatment they need, making healthier pets available for adoption to the community. Weekly free community spay/neuter clinics for any Blaine County animal are critical to keeping the stray population down and our ability to remain a “no-kill” facility. The primary housing for adoptable dogs with comfortable individual kennels designed to reduce stress and increase happiness! Materials and building systems will reduce the spread of disease, decrease noise, improve adoptability, and make for healthier pets. Kennel Building Two will be phased over time as we are able to adopt out more dogs. Regardless of the weather, potential adopters will have a comfortable place to get to know the animals. Training classes and other animal related activities can occur year-round. Plus, this building will include featured adoptable dogs (perhaps seniors and/or puppies) that might need a little extra attention. Adoption counselors will meet with the public to ensure the perfect fit with their new pet. Visitors will be welcomed by adorable cats. Cats are typically adopted at a slower rate than dogs, so this prime location will increase their exposure. Socialize with some cats over a cup of coffee and a book! What could be better? Contains a humane education classroom for school and youth group visits, volunteer projects, and more! The main floor area can seat up to 150 for workshops, training seminars, and other public events. 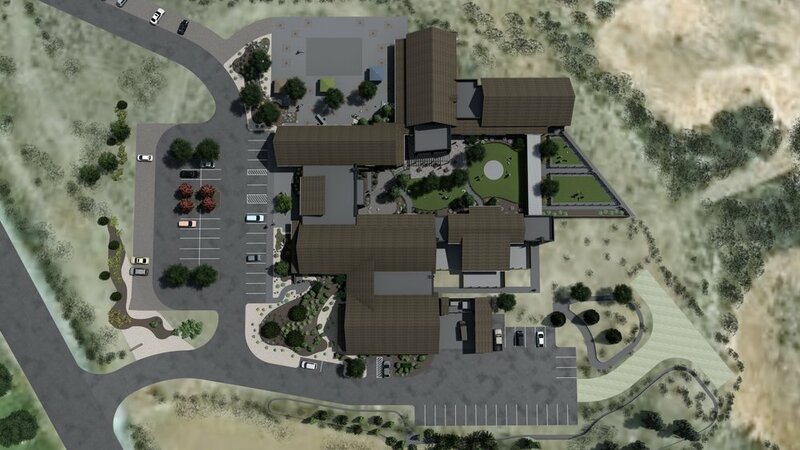 The office space and large conference room will allow the Mountain Humane Staff to come back together on one campus, increasing efficiency and communications (while no longer renting space by the airport). This gathering space will provide many opportunities for the community, including a new venue for the Dog Days of Summer Annual Benefit Dinner and Auction. Dog training can also take place on the special grass inset in the patio. 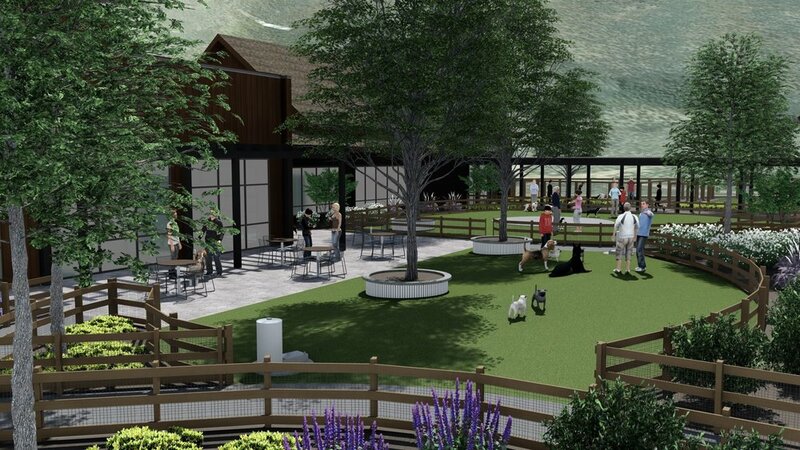 “Central Bark” will be a beautifully landscaped courtyard for on-leash dog walks. Fenced acquaintance yards are for off-leash exercise and “get to know you” fun. Click here for Naming Opportunities!